The world is rapidly shifting from analog to digital. More and more digital content is consumed on daily basis. People are using digital content on mobile phones, laptops, desktop computers at work, and more. The older generations will no doubt lament over the outmoded paper-based newspapers, books, communication methods and traditional TV and radio broadcasts. This generation has grown up with the internet and mobile phones and is already embracing the brave new world of digital consumption. Companies need to recognize that in their marketing strategies need to adapt this age of digital content. Digital marketing has become the future of marketing and it seems that digital media will soon replace more traditional forms altogether. These digital methods of communication and marketing are faster, more versatile, practical and streamlined. Pay per click(PPC): These are the ‘sponsored’ links you often see in Google searches. Completely short-term form of advertising– when you stop paying, the ad ceases to exist. PPC is all about paying a search engine directly to be up there. Email Marketing: One of the earliest forms of digital marketing, this includes delivering personalized or targeted emails at the correct time. Search Engine Optimization (SEO): The most general type of Digital marketing that attempts to increase the website’s visibility across search engines. Social media marketing: This is a great way to get exposure and connect with your customers through social media channels – from Facebook and Twitter to Snapchat and LinkedIn. Viral marketing: It involves publicizing an element of content across multiple channels. The goal is to assure that the content grabs the attention of the market and spreads naturally through online communities. Content marketing: Offering content that is relevant to your audience helps them see you as a valuable source of information. Great content is the fuel that drives your digital marketing activities. Mobile marketing: Mobile devices have become an integral part of our lives. Marketers have realized the importance of effectively communicating on this unique and extremely personal channel. From SMS and MMS to in-app marketing, there are many ways to market on mobile devices. Many companies have recognized the importance of digital marketing and thus seek professionals who are well versed in this field. Digital marketing helps transmit a marketing message to consumers for the merest fraction of the cost of a TV ad or print campaign, and potentially reach a wider audience. Whether you are a marketing professional, sales professional, student or an entrepreneur, take up digital marketing training in Indore and enhance your skill set. If you have recently graduated and looking for a lucrative career opportunity, look no further. Digital marketing is the field for you. Many MNCs in India are constantly searching for freshers in the field of digital marketing. Various institutes offer the best digital marketing training in Indore. Digital marketing can feed sufficient money into your pockets as this field provides a chance to do free lance at home. With institutes offering SEO training in Indore, by learning SEO, you can easily get a job with a good salary. SEO training in Indore will help you to deal with optimizing website for Google search engine, which is a must for every organization. Institutes also offer PPC training in Indore, where you can help your employer’s website in getting a large amount of exposure. Institutes of PPC training in Indore will help the business in immediately boosting your website, taking it straight to the top. 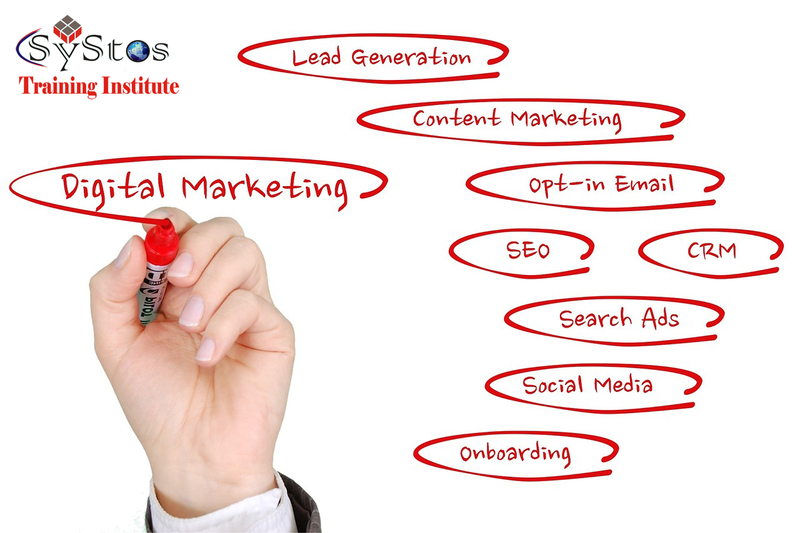 Learn all the basics of digital marketing and develop specialization in one of them to help you get better prospects. By pursuing a course in Digital Marketing you have many options to choose from, that can get you variety of jobs.